ръководител магистърска програма "Технологии за знания и иновации"
Gourova, E., Dragomirova, M., Design of Knowledge Management Info-Structures, EuroPLoP 2015, Irsee, Germany, 2015 ACM. DOI: http://dl.acm.org/citation.cfm?doid=2855321.2855337, pages 9. 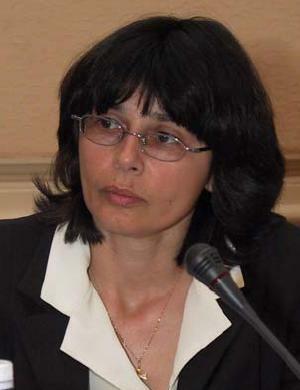 Gourova, E., Petrova-Antonova, D., Dulev, P., Bontchev, B., M-learning pilot at Sofia University, Proc. 10th International Conference M-Learning 2014 (ed. I.A.Sanchez, P.Isaias), 28 February - 2 March, 2014, Madrid, Spain, pp. 323- 326,. Dragomirova, M., Salutski, B., Gourova, E., Building a virtual professional community: the case of Bulgarian Optometry and Eye Optics, 4th International Conference on Information Society and Technology Proceedings, Zdravković, M., Trajanović, M., Konjović, Z. (ed.) , 2014, Vol. 1, pp. 169-173, Society for Information Systems and Computer Networks, Belgrade, Serbia. Gourova, E., Toteva, K., Design of Knowledge Management Systems, VikingPLoP 2014, April 10 - 13 2014, Vihula, Estonia, ACM, http://dx.doi.org/10.1145/2676680.2676685, pages 15. Gourova, E., M.Dragomirova, P.Dulev, Developing a Learning management platform: a Bulgarian case, Proc. 9th ICEL 2014 (ed. T. A. Yáñez, O. S. Rodriguez, P. Griffiths), Academic Conferences and Publishing International Ltd., Reading, UK, 26-27 June 2014, Valparaiso, Chile, pp. 50-58. Gourova, E., Dragomirova, M., Zografova, L., Use of Balanced Scorecards for Knowledge Management, EuroPLoP 2014, ACM, doi: 10.1145/2721956.2721975, 7 pages. Gourova, E., Gourov, V., Zografova, L., System for knowledge management at ELFE, In: Challenges in Higher Education and Research in the 21st Century, 3-6 June 2014, Sozopol, pp. 86-91. Gourova, Е., Models and approaches for Knowledge Management, Science, 2013, pp. 7-15 (in Bulgarian). Gourova, E., A. Asenova, P.Dulev, Integrated platform for mobile learning, In: D. Sapmson, P. Isaias, J. M.Spector, D.Ifenthaler (eds. ), Ubiquitous and Mobile Learning in the Digital Age, DOI 10.1007/978-1-4614-3329-3_1, Springer Science+Business Media New York 2013, pp. 67-92. Gourova, E., B.Bontchev, Knowledge Management challenges for Bulgarian organisations, Proc. IADIS e-Society 2013 Conference, 13 – 16 March, Lisbon, Portugal, pp. 427-431. Gourova, E., B.Bonchev, Introduction of Masters Programme on Knowledge Management, Proc. ICE & IEEE-ITMC 2013 Conference, 24-26 June 2013, the Hague, the Netherlands, pp. 1-11. Gourova, E., T. Teneva, T. Kyoseva, Involving students in Idea generation – a Bulgarian case, 8th European Conference on Innovation and Entrepreneurship ECIE 2013, 19-20 September 2013, Brussels, Belgium, 287-295. Gourova, E., A.Antonova, R.Nikolov (eds. ), Knowledge Management, Bulvest 2000, Sofia, ISBN 978-954-18-0839-9, 2012 (in Bulgarian). Toteva, K., E. Gourova, Social networks – tools for enhancement of knowledge management, 5th ICEIRD 2012, 1-2 June 2012, Sofia, Bulgaria, pp. 872-877. Gourova, E., I.Draganov, K. Toteva, Entrepreneurship and innovation in creative and cultural industries, Proc. 7th ECIE-2012, 20-21 September 2012, Santarem, Portugal, pp. 294-303. Gourova, E., K.Toteva, Y.Todorova, Audit of Knowledge flows and Critical business processes, In: EuroPLoP 2012 17th European Conference on Pattern Languages of Programs (ed. Kohls, C., Fiesser, A. ), Irsee, Germany, 11-15 July 2012, ACM New York, NY, USA ©2012. doi: 10.1145/2602928.2603077, pages 10. Gourova, E., P.Dulev, V.Slavov, L.Kostova, Innovative forms of distance education in technical sciences, XXII Scientific Symposium with International Participation “Metrology and Metrology Assurance 2012”, 10-14 Sept. 2012, Sozopol, Bulgartia, pp. 402-407 (in Bulgarian). Ivancheva, L., E. Gourova, Challenges for career and mobility of researchers in Europe, Science and Public Policy, Vol. 38, Number 3, April 2011 , pp. 185-198. Toteva, K., E. Gourova, Social Network Analysis In Professional e-Recruitment, In: Advances in Intelligent and Soft Computing, 2011, Vol. 101, Third International Conference on Software, Services & Semantic Technologies S3T 2011, Dicheva, D., Z.Markov, E. Stefanova (Eds. ), Springer, Berlin Heidelberg, pp. 75-80. Vachkova, S., E.Gourova, Developing a CRM Platform: a Bulgarian case, 5th WSEAS CEA '11, 29-31 January 2011, Puerto Morelos, Mexico, pp. 170-174. Anguelieva, K., D. Kabakchieva, E.Gourova, Barriers for industry-academia collaboration in Bulgaria, 4th ICEIRD 2011, 5 - 7 May 2011, Ohrid, Macedonia, pp. 32-38. Gourova, E., P.Atanassova, Y.Todorova, Knowledge audit tools, 16th EuroPLoP 2011, Irsee, Germany, 13-16 July 2011. Gourova, E., K. Toteva, Raising creativity and participation in innovation and knowledge management activities, 17th ICE 2011, 20-22 June, Aachen, Germany, pp. 221-234. Gourova, E., A. Asenova, P.Dulev, Mobile learning using Tablets: the Sofia university case, IADIS CELDA 2011, 6-8 November 2011, Rio de Janeiro, Brazil, pp. 219-226, 2nd Best Paper Award. Gourova, E., K.Toteva, Electronic tools for support of Human Resource Management, WSEAS Transactions on Computers, Issue 10, Vol. 9, October 2010, pp. 1133-1148. Todorova, Y., E. Gourova, D.Birov, Measuring Knowledge Management and relation with Balanced Scorecard, Proc. 3rd ICEIRD 2010, 27-29 May 2010, Novi Sad, Serbia, pp. 739-745. Gourova, E., T. Popov, Y.Todorova, Technology platform for knowledge audit in organizations, Proc. 9th WSEAS TELE-INFO '10, Catania, Italy, 29-31 May 2010, pp.113-116. Todorova, Y., E. Gourova, D. Birov, Patterns for Strategy Management of Technology Entrepreneurship and Innovation Executive Program, 15th European conference on pattern languages of Programs EuroPLoP 2010, Irsee, Germany, 7-10 July 2010. E.Gourova, Knowledge management strategy for Small and Medium Enterprises, Plenary lecturer, Proc. IEEE-AM ACS, Malta, 15-17 Sept. 2010, pp. 639-648. Gourova, E., Y. Todorova, N. Gourov, ‘Skills for future engineers: challenges for universities in Bulgaria’, WSEAS Transactions on Business and Economics, Issue 7, Vol. 6, July 2009, pp. 385-399, ISSN: 1109-9526. Gourova, E., A. Antonova, Y. Todorova, Knowledge audit concepts, processes and practice, WSEAS Transactions on Business and Economics, Issue 12, Vol. 6, December 2009, pp. 605-619. Gourova, E., A. Antonova, Y. Todorova, Industry-academia collaboration in Bulgaria – the case of Sofia University, Proc. ICEIRD 2009, Thessaloniki, Greece, 24-25 April 2009, pp. 157-166. Nisheva, M., E. Gourova, A. Antonova, ICT and entrepreneurship skills at FMI, Proc. ICEIRD 2009, Thessaloniki, Greece, 24-25 April 2009, pp. 213-220. Todorova, Y., P. Ruskov, E. Gourova, Building scenarios as part of Strategy Modelling for FMI RTDI Strategy, Proc. ICEIRD 2009, Thessaloniki, Greece, 24-25 April 2009, pp. 249-258. Todorova, Y., P. Ruskov, E. Gourova, M. Harris, Patterns for Strategy Management of Technology Entrepreneurship and Innovation MSc Program, Proc. of 14th EuroPLoP 2009 (ed. A.Kelly, M.Weiss), 8-12 July 2009, Irsee, Germany. Antonova, A., E. Gourova, Business Patterns for Knowledge audit implementation within SMEs, Proc. of 14th EuroPLoP 2009 (ed. A.Kelly, M.Weiss), 8-12 July 2009, Irsee, Germany. Gourova. E., Y. Todorova, Challenges for technology education in Bulgaria, Proc. of 13th WSEAS Conference on Engineering Education, 22-24 July 2009, Rhodes, Greece, pp. 168-173. Antonova, A., E. Gourova, R. Nikolov, Extended architecture of knowledge management system with Web 2.0 technologies, Proc. ECKM 2009, 3-4 September 2009, Vicenza, Italy, pp. 48-55. Gourova, E., A. Antonova, Knowledge management challenges for small and medium companies and organizations, Proc. of 9th WSEAS ACS ‘9, 17-19 Oct. 2009, Genova, Italy, pp. 201-205. M. Nisheva, E. Gourova, P.Ruskov, Y.Todorova, A.Antonova, Strategic framework for IT education and research at Sofia University, Int. Journal of Education and Information Technologies, Issue 4, Volume 2, 2008, pp. 213-225. Antonova, A., E. Gourova, Knowledge Management in Universities – the CIST case, Proc. 9th ECKM, 4-5 September 2008, Southampton, UK, pp. 27-34. Gourova, E., A. Antonova, Bridging the Digital Divide in South-Eastern Europe, IV International Bulgarian-Greak Scientific Conference Computer Science’2008, 18-19 September 2008, Kavala, Greece, pp. 881-886. Gourova, E., M. Nisheva, A. Antonova, Challenges for IT education at Sofia University, Proc. of 7th WSEAS International Conference EDU’08, 21-23 Nov. 2008, Venice, Italy, pp. 50-54. Lefebvre, M., A. Antonova, E. Gourova, Difficulties for introduction of Knowledge Management in Small and Medium Enterprises in Europe, Proc. 8th ECKM 2007, 6-7 September 2007, Barcelona, Spain, vol.2, pp. 562-566. Gourova, E., A. Antonova, N. Katsiadakis, Differences in Knowledge Management usage in seven European Countries, Proc. of 5th International Conference “Challenges in Higher Education and Research in the 21st Century” (eds. N.Kolev, L. Dimitrov), 5-9 June 2007, Sozopol, Bulgaria, p. 40-42. Gourova, E., A. Antonova, The challenges of e-business development in Bulgaria, Proc. of 3rd Balkan Conference in Informatics, 27-29 September 2007, Sofia, Bulgaria, pp. 421-430. Gourova, E., The Digital Divide – wider challenges for South-East Europe, Proc. of 3rd Balkan Conference in Informatics, Workshop “Bridging the Digital Divide in South-Eastern Europe”, 27-29 September 2007, Sofia, Bulgaria, p. 163-172. Antonova, A., E. Gourova, R. Nikolov, Review of technology solutions for knowledge management, Proc. of 2nd IEE International Conference on Intelligent Environments, 5-6 July 2006, Athens, Greece, pp. 39-44. Antonova, A., E. Gourova, R. Nikolov, Knowledge management and learning in the organizational context, Proc. 3rd E-Learning Conference, 7 – 8 Sept. 2006, Coimbra, Portugal, pp. 63-67. Antonova, A., E. Gourova, Insight into Practical Utilization of Knowledge Management Technologies, IEEE John Vincent Atanasoff 2006 International Symposium on Modern Computing (JVA’06), 2006, pp. 169-174. Gourova, E., A. Antonova, R. Nikolov, Building skills for the knowledge society, Proc. of 3rd International scientific conference ‘Computer Science’, Istanbul, Turkey, 12-15 October 2006, pp.107-113. Katsiadakis, N., A. Antonova, E. Gourova, A study on differences in perceptions and usage of Knowledge Management in Greece and Bulgaria, Proc. Int. Conference Knowledge Management Projects, Systems and Technologies, Bucharest, Romania, 9 – 10 November 2006, pp. 35-38. Antonova, A., E. Gourova, A note on organizational learning and knowledge sharing in the context of communities of practice, Proc. of TenCompetence, International Workshop Learning Networks for Lifelong Competence Development, 30-31 March 2006, Sofia, Bulgaria, pp. 1-5. Bogdanowicz, M., J.C. Burgelman, C. Centeno, E. Gourova, G. Carat, Factors of regional/national success in Information Society developments: Information Society strategies for candidate countries, First Monday, vol. 8, No: 10 (October 2003). Gourova, E., J.C. Burgelman, M. Bogdanowicz, C. Herrmann, Information and Communication Technologies, Enlargement Futures Report Series 05, IPTS 2002, EUR 20247 EN. Gourova,E., K. Ducatel, J. Gavigan, F. Scapolo, P. Di Pietrojacomo, Technology, Knowledge and Learning, Enlargement Futures Report Series 03, IPTS, 2001, EUR 20118 EN. Gourova, E., C. Herrmann, J. Leijten, B. Clemens, The Digital Divide - a research perspective, Report to the G8 Digital Opportunities Task Force, IPTS 2001, EUR 19913 EN. Gourova, E., L.Danovska, Universal service in Information Society, Vesti, 1998, бр. 5, pp. 16-19 (in Bulgarian). Gurova, E., V. Georgiev, 1996, Transformations P-Z on the basis of numerical integration methods, Izvestiya Vysshikh Uchebnykh Zavedenij. Radioelektronika, 39(4), 1996, pp. 3-18 (in Russian). Gurova, E., V. I. Georgiev, 1996, New higher-order s-z transformation. Electronics Letters, 32(5), pp. 431-432. Gurova, E., Modified stability approach for higher-order s-to-z mapping functions. Electronics Letters, 32(13), 1996, pp. 1182-1183. Gourova,E., V.Georgiev, S-Z transformations based on higher-order numerical methods, Communications and Informatics, 1995, 1, pp. 22-26 (in Bulgarian). Georgiev, V., E. Gourova, Non-linearity effect by higher order S-Z transformations, Electronics and Electrotechniques, 1996, 7-8, pp. 3-6 (in Bulgarian). Georgiev, V., E. Gurova, Higher-order rational s-to-z transformations, 11-12.10.1995, Proc. of the Technical University – Sofia, vol. 48, Book 4, 1995, pp. 421-430. Gurova, E., Frequenzabhangigkeit bei s-z Transformationen, Deutsche Telekom – Fachhochschule Dieburg, Jahresbericht 1995, S. 11-15.